Light switch wall sticker designed to give a touch of colour and joy to your child's bedroom. 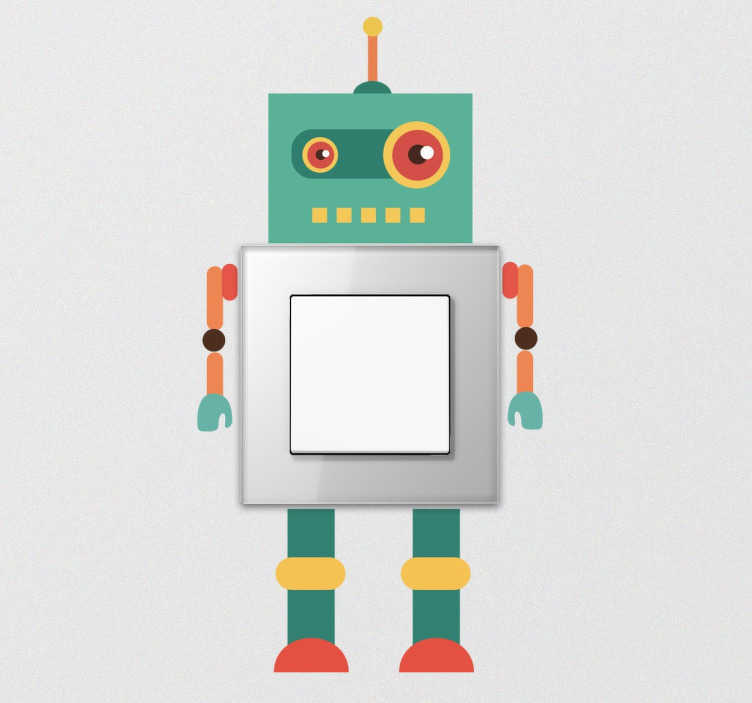 Plug sticker with the image of a robot from a far away galaxy. A simple and inexpensive way to give an original touch to the light switches in even the smallest rooms in your home. Customise your room according to your child's tastes your age whilst also encouraging their imagination. Decorate an otherwise unaesthetic element such as a switch.